At Caring Companions, our services are designed to help people of all ages maintain the independence and comfort they have at home. Our caregivers are spiritual people who view their job as a ministry. Our well-trained, professional caretakers are dedicated to meeting the distinct needs of each individual client to ensure complete satisfaction. We provide assistance with light housekeeping. Our Associates use the client/patients cleaning supplies and equipment. We offer vacuuming, mop, sweep, dust, clean bathrooms, and kitchen. As long as you provide us with the schedule on your weekly trash pickup days, we will take out all trash and take the container to the street. Personal laundry as well as change linens; wash, dry, fold, and put away laundry. Ironing if requested. Caring Companions highly trained staff can assist with Mobility Assistance, Bathing, Grooming and Hygiene, Transferring and Positioning, Toileting & Incontinence Care, and Feeding/Special Diet. We prepare nutritious, home-cooked meals that are personalized to each client’s preferences and special dietary needs. With the help of our caregivers, meal preparation no longer has to be a hassle. 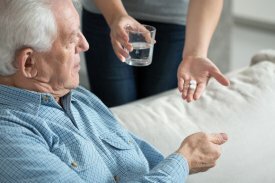 Although Caring Companions cannot administer medications, they can help ensure that clients take their own medication as prescribed. Caring Companions can assist with opening medication containers, reading labels and reminding the client when it is time to take a dose. Caring Companions can provide transportation for a doctor’s appointment where we take personal notes from the visit at your request. We also provide shopping (groceries, prescriptions, personal items, etc.). Socialization is very important; we offer transportation to visit friends and relatives, making sure that your loved one is able to attend special events such as weddings and family functions. Caring Companions has been providing Alzheimer’s and dementia care for 20 years. Our caregivers are trained and experienced in providing care with patience love and understanding. Our caregivers can provide activities that are personalized to the individual needs of your loved one. Both mental and physical stimulation has been shown to improve cognitive functioning. We can provide you with much needed relief to family members and caregivers. Whether it’s a weekend get away or to cover a hospital stay where the hospital is unable to give one on one care. You can use them a few hours a day up to getting away over a weekend, or overnight so family can get a full nights sleep. We are there to help with respite care, no matter what your situation may be. This is where we specialize in matching someone who will not only relieve your duties, but connect with your loved one on a personal level. We start by meeting with you personally in a free in-home consultation to determine a program best suited to fit your schedule and individual needs. We then select and introduce a qualified Companion Associate to start providing care. Each service on every visit will be provided by the same friendly face. Service can range from a minimum of four hours to a maximum of twenty-four hours a day. 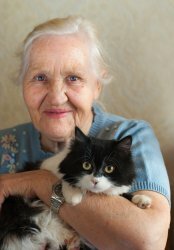 At Caring Companions we understand that a pet is part of your family and many times therapy for the pet owner. We provide pet care to include feed, water, walk, change litter box and transportation to Veterinary appointments.